The equipment works by collecting all the water from the washing process and recycling it through the system where it's biologically treated to break down contaminates. 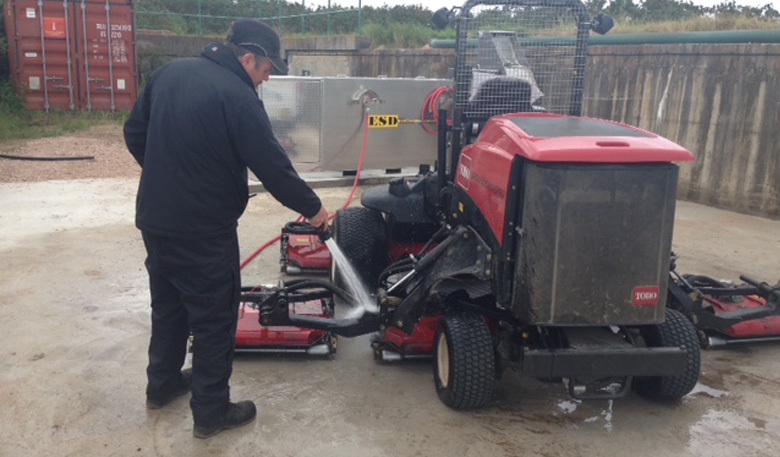 Our Greenkeeping team recently installed a brand new eco-friendly piece of equipment to wash down machinery at the Jubilee Greenkeeping Centre. Manufactured and supplied by a company called Waste2Water, the equipment works by collecting all the water from the washing process and recycling it through the system where it’s biologically treated to break down contaminates such as grease, oils, fuels and pesticides. 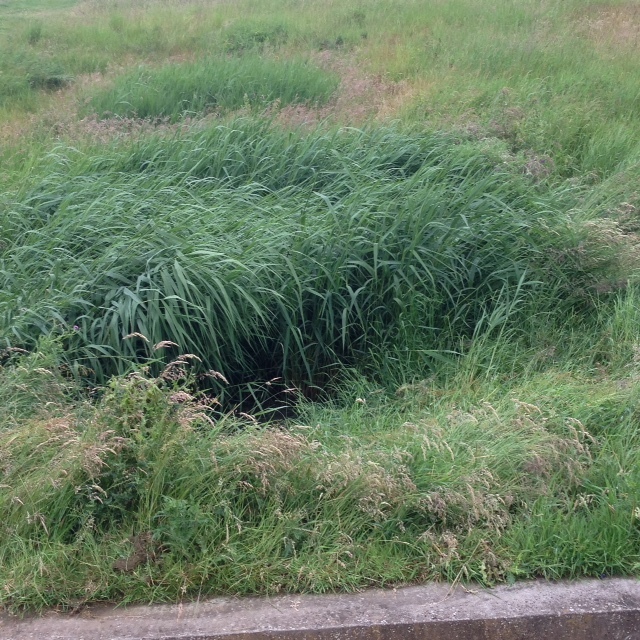 It’s illegal to discharge water like this directly into the ground and this new piece of kit compliments the three reed bed systems we have around the Links which are a more natural way of treating these washings. Although they work well and will continue to be used it was felt we needed some additional facilities nearer the main greenkeeping facility that services the Old, New and Jubilee Courses. We have had a Waste2Water system operating at The Castle Course since it opened for play in 2008 and have been very pleased with the results. 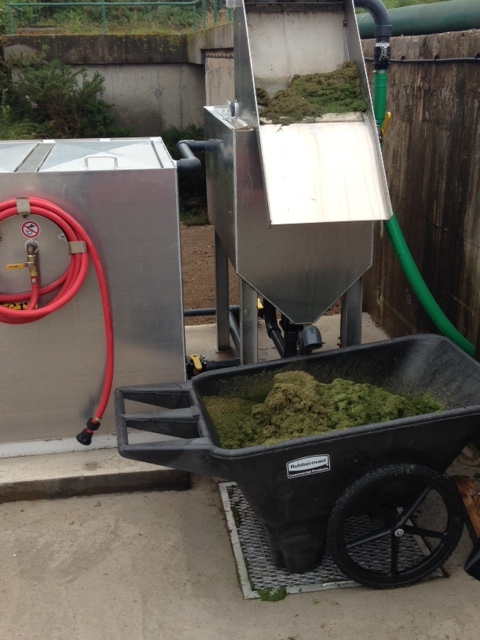 The system collects all the water from the concrete wash pad by draining into a central sump from where it is pumped through a series of filters to remove any grass clippings, sand particles etc. The dirty water is then put into various tanks and treated to break down or neutralise any contaminants. Once that process is complete it is then reused to wash down the next machine. 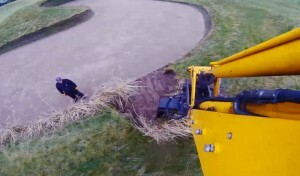 Any grass clippings that are separated are taken away for composting. 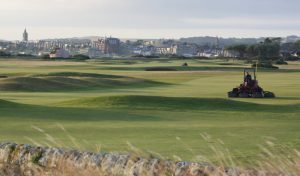 You can find out more about our environmental practices here at the Home of Golf on our website.